There are a number of factors that influence how a person decides to build a shed, but having a strong foundation is common among all structures of this kind. 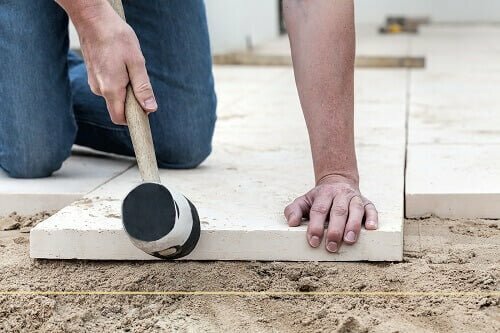 One way in which you can lay a lasting foundation for your shed is to utilise a solid, concrete slab. Concrete is a hardy substance that is well suited to be the perfect foundation for your shed. A slab of this positioned in just the right spot will provide your unit with the strength it needs to stand against the elements. The utilisation of a concrete slab lies primarily in the positioning of the building itself. Beginning to lay the concrete with the wall that is closest to the fence line and then working your way around the building is a good strategy to ensure that the entirety of the structure is laid upon the slab. Because the footing pegs and concrete are sometimes tricky to lay, this is not recommended to be a DIY project. You should consult a professional since they are experts on this field. There is one minor problem to contend with when using concrete: cracking. While this is inevitable, it can be minimised through techniques in building and mixing. Certain additives and compounds can be mixed with the concrete to prevent cracks, but the results mainly lie in construction. Concrete joints are the places where two pieces of concrete meet and by strategically placing them in places with the least amount of tension and temperature, cracks can be prevented and minimised. Concrete slabs are excellent tools in the construction of any storage sheds or other units for your Perth home or company. They are strong, durable and can help your structure stand against damage from weather and temporal factors. Always consult a professional before laying concrete for maximum effect and safety. To learn more about concrete and building in relation to sheds and garages, call 1300 778 628.